Officials from The Automobile Racing Club of America and Extreme Energy Solutions recently announced that the green-tech company’s leading consumer brand – Extreme Kleaner - has become a participating manufacturer in ARCA’s Performance partners program, the series contingency and participant prize-money fender decal program. “We are pleased to welcome Extreme Energy Solutions to the ARCA Family of Corporate Partners,” commented Mark Gundrum, Vice President of Business Development and Corporate Partnerships for ARCA. Extreme Energy Solutions Inc., based in Sparta, N.J., develops, manufactures, markets, and distributes technology that reduce impact on the environment while also providing a return on investment. 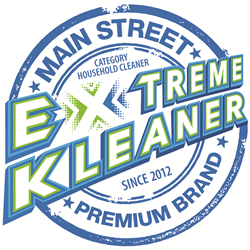 Extreme Energy Solutions leading consumer brand, Extreme Kleaner, the non-toxic biodegradable cleaner-degreaser, initially launched throughout grassroots racing community, and extended its market reach where Extreme Kleaner is available in over 500+ retailer locations nationwide, including Menards. Extreme Energy Solutions is active in the motorsports world with a strong marketing presence in local and regional dirt track racing competition throughout the Northeast, the ARCA Racing Series and most recently the NASCAR Xfinity Series and NASCAR Gander Outdoor Truck Series. Currently, the Extreme Kleaner and SMART Emissions Reducer brands are represented on track in ARCA by Andy Hillenburg’s Fast Track Racing Enterpriese and Driver Tommy Vigh Jr.
About Extreme Energy Solutions Inc.: Extreme Energy Solutions is a green tech company that develops, manufactures, markets and distributes technology and products that reduce impact on the environment while also providing a return on investment. Extreme Energy Solutions is the proud provider of the SMART Emissions Reducer, a technology that was designed to lessen emissions output while increasing engine efficiency. Extreme Energy Solutions also offers its automotive diagnostic and emissions repair platform E-Missions Automotive Intelligence/E-Tech Performance. Other products found in over 500+ retailers offered by Extreme Energy Solutions includes Extreme Kleaner, H20 Energy Flow and Extreme Xtra Fuel Treatments. For more information, visit http://www.ExtremeEnergySolutions.net or call 1-800-EES-Team.